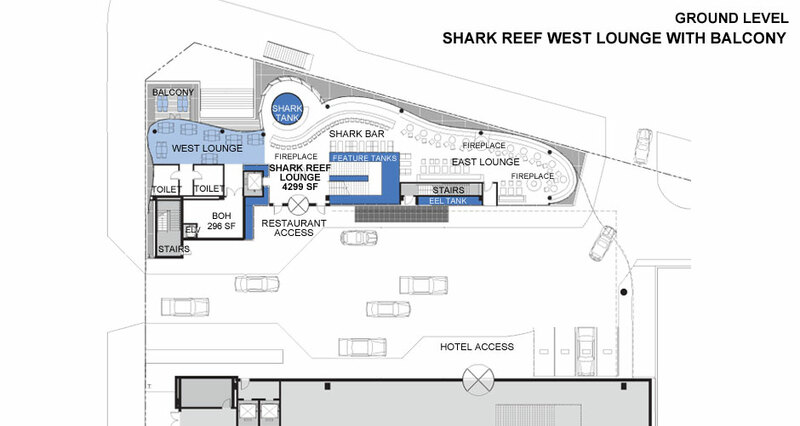 The West Lounge area will feature a balcony for eight, weather permitting. Guests will enjoy close-up views of river traffic and all the passersby, stunned, stopped in their tracks, staring at harks swimming on Wacker Drive. 12' dia. x 30' tall; 25,400 gal.